Online advertisement click-through rates (CTRs) are highest on Fridays, and the peak time for clicks occurs between 11 AM and 2 PM every day, according to a recent report from online ad network Infolinks. 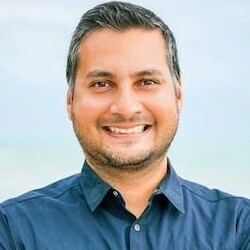 The company studied a sample of one trillion impressions from its publisher network, which includes more than 100,000 websites, in 1Q13 to determine which US states, days of the week, and hours of the day perform best in terms of click-through rates. Visitors tend to interact more with Web ads during the day, and clicks drop as the evening wears on. 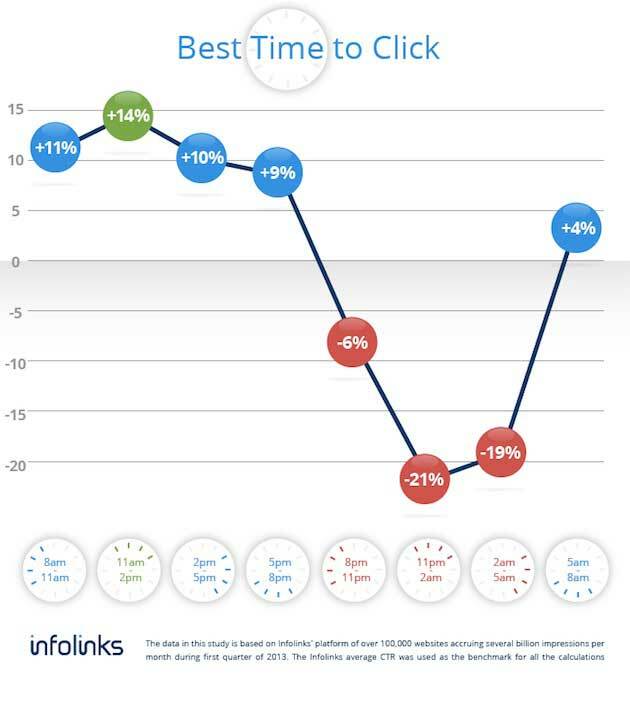 The peak in clicks occurs between 11 AM and 2 PM, when visitors interact with ads 14% more than Infolink's average CTR. Later at night, between 11 PM and 2 AM, there is a significant drop in CTR.